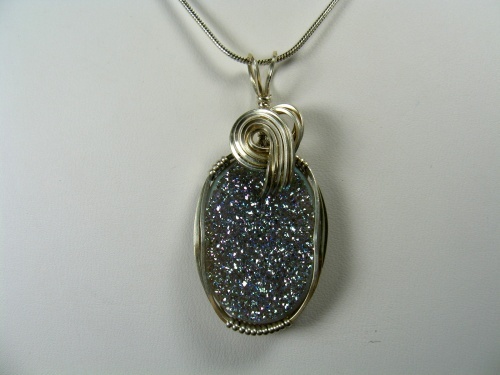 This absolutely gorgeous piece of titanium druzy gemstone wont let you take your eyes off it when you look at it. Its mesmerizing with the sparkle of silvery moonlit stars. Hand sculpted with sterling silver swirls and curls. Piece measures 1 3/4" by 1/2" and comes with a sterling silver snake chain.